With the release of iPhone 6 plus last year, the bendgate scandal quickly gained popularity. According to the bendgate scandal, the iPhone 6 plus was bended, losing its stylish slim shape. Thus it was assumed that the iPhone 6 plus is vulnerable to pressure. Similarly with the release of Samsung Galaxy S6 edge, the people expect the same bendgate with it as well. For the sake of comparison and interest, we also do the bend test and the article is written for you guys to take a look and choose the best ones for you. Along with Samsung Galaxy S6 Edge and iPhone 6 Plus, HTC One M9 is also compared in the video shown below. In this article I am going to explain the scenario in which the iPhone 6 plus and Samsung Galaxy S6 Edge is tested under pressure to check that up to which level both cell phones bear pressure and at how much pressure both cell phones totally break out. Bend bolt (a machine for putting pressure) is used to test both the cell phones. Let’s start with iPhone 6 plus. With the bend bolt, the iPhone 6 plus bends at approximately 110 pounds of pressure. By increasing the pressure further, it was seen that the iPhone starts to break out at approximately 179 pounds. This is a pretty high pressure. This means that iPhone can bear up to 110 pounds and still manage to work properly. But of course it loses its original shape and look at such high pressure. iPhone 6 plus completely breaks out at 179 pounds, below which it works properly and above this pressure, the glass touch screen cracks completely. 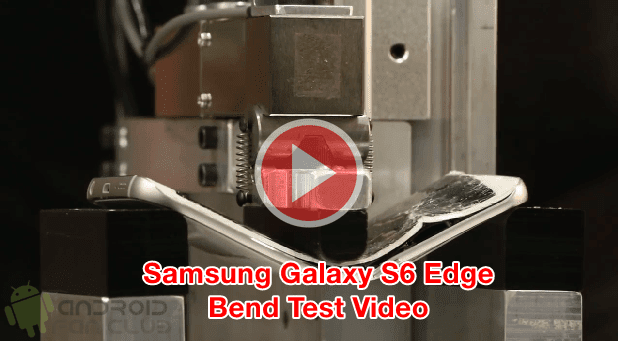 Samsung Galaxy S6 Edge is put in the bend bolt and applied the pressure up to 110 pounds. At 110 pounds, the glass edge of the Samsung Galaxy S6 Edge cracked under pressure unlike iPhone that loses its shape under pressure. However, Samsung Galaxy S6 Edge still worked with a broken screen edge. After that, the pressure of up to 149 pounds is applied on Samsung Galaxy S6 Edge and it breaks entirely at this pressure. So after comparison we have come to the conclusion that iPhone 6 can bear a pressure of up to 179 pounds, above which it completely breaks out but loses its shape at 110 pounds of pressure. 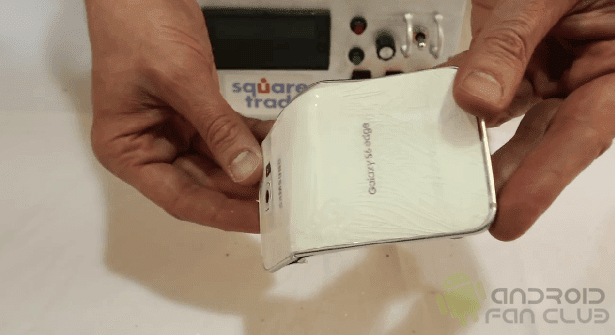 However, Samsung Galaxy S6 Edge can bear a pressure of up to 149 pounds, above which its glass screen completely breaks out but its glass edge screen breaks at 110 pounds of pressure and still working. Before selecting and buying an expensive cell phone for yourself, do check a number of features including the bendgate so that you don’t have to bear such a high loss. I hope that this video and article helps you out in selecting a cell phone for you as I have compared them under such a high pressure. HTC One M9 is also compared for the sake of convenience. So do check the three cell phones with an eagle’s eye before having one in your pocket. 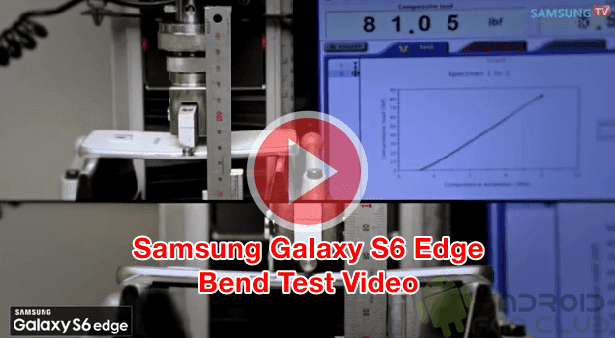 Samsung recently came up with an explanatory video after the the above Samsung Galaxy S6 Edge Bend test video went viral to save itself from big troubles in the long run. Have a look below and shout out in the comments below.